Michopoulos P (2011). Effects of increasing CO2 on trees and intensively monitored plots: research needs in view of future ecosystem studies. iForest 4: 172-175. The intensively monitored plots in Europe have offered a lot of information with regard to the dynamics of forest ecosystems. A large stock of data is already available as an input to ecological models. The carbon sequestration challenge is a little different from others. It requires long-term studies and additional information from what already exists. So far, apart from the determination of organic C in soils, research in the intensively monitored plots has mainly focused on above ground processes, i.e., crown assessment, phenology, deposition, litterfall, tree growth, and foliar chemistry. All these parameters are valuable and will continue to be so. However, according to the latest literature reviews on the subject, the key to understanding the reaction of trees to climate change lies in the dynamics of belowground processes. Information is needed on nitrogen mineralization rates, soil respiration rates and labile carbon forms in soils. If we take into account that countries pay for their carbon emissions and are paid for carbon sequestration, a research like this can be worth doing. Most importantly, the ecological models can be enriched and therefore be more precise in predicting tree response to climate change. Measuring carbon in forests: current status and future challenges. Environmental Pollution 116: 363-372. Dissolved and water-extractable organic matter in soils: a review on the influence of land use and management practice. Geoderma 113: 357-380. Elevated CO2, rhizosphere processes, and soil organic matter decomposition. Plant and Soil 202: 167-174. Effects of elevated atmospheric CO2 on woody plants. New Phytologist 127: 425-446. Effects of CO2 enrichment on trees and forests: Lessons to be learned in view of future ecosystems studies. Annals of Botany 84: 577-590. Soil water content and temperature as independent or confounded factors controlling soil respiration in a temperate mixed hardwood forest. Global Change Biology 4: 217-227. Belowground carbon allocation in forests estimated from litterfall and IRGA-based soil respiration measurements. Agricultural and Forest Meteorology 113: 39-51. Net primary production of a forest ecosystem with experimental CO2 enrichment. Science 284 (5417): 1177-1179. System-level adjustment to elevated CO2 in model spruce ecosystems. Global Change Biology 2: 377-387. Morphological adjustment of mature Quercus ilex trees to elevated CO2. Acta Oecologica 18: 361-365. The dynamics of fine root length, biomass and nitrogen content in two northern hardwood ecosystems. Canadian Journal of Forest Research 23: 2507-2520. Atmospheric science: nitrogen and climate change. Science 302: 1512-1513. ICP-Forests: International Co-operative Programme on Assessment and Monitoring of Air Pollution Effects on Forests. Climate change: the scientific basis. Intergovernmental Panel on Climate Change. Cambridge University Press, Cambridge, UK. Abundance and dynamics of soil labile carbon pools under different types of forest vegetation. Pedosphere 16: 505-511. Impacts of elevated CO2 on forest trees and forest ecosystems: knowledge gaps. Environment International 29: 161-169. Forest ecology. A foundation for sustainable management. Prentice Hall, New Jersey, USA. Validation of the rockport fitness walking test for adults with mental retardation. Med Sci Sports Exerc 26 (1): 95-102. Biosphere responses to CO2 enrichment. Ecological Applications 10: 1590-1619. Forest soils and carbon sequestration. Forest Ecology and Management 220: 242-258. Research for predictive understanding of plant responses to elevated CO2. Global Change Biology 5: 143-156. Stomatal conductance of forest species after long-term exposure to elevated CO2 concentrations: a synthesis. New Phytologist 149: 247-264. Nitrogen in a fir stand. Is there any risk of saturation? 13th Greek Soil Science Congress, pp. 389-397. [In Greek with an english abstract]. Above and below ground net primary production in a temperate mixed deciduous forest. Ecosystems 9: 317-329. Tree responses to rising CO2 in field experiments: implications for the future forest. Plant Cell Environment 22: 683-714. Elevated CO2, litter chemistry, and decomposition: a synthesis. Oecologia 127: 153-165. Aboveground productivity and soil respiration in three Hawaiian rain forests. Forest Ecology and Management 107: 309-318. 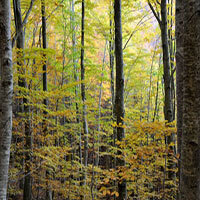 Belowground carbon allocation in forest ecosystems: global trends. Ecology 70: 1346-1354. Tree and forest functioning in an enriched CO2 atmosphere. New Phytologist 139: 395-436. Spatial and seasonal variations in soil respiration in a temperate deciduous forest with fluctuating water table. Soil Biology and Biochemistry 38: 2527-2535. Elementary statistics. Addison-Wesley Publishing Company, Massachusetts, USA. Carbon mineralization and properties of water-extractable organic carbon in soils of the south Loess Plateau in China. European Journal of Soil Biology 44: 158-165.